"Alerts You to Calls, Visitors and Alarms"
• Alerts for phone, door, fire alarm, etc. 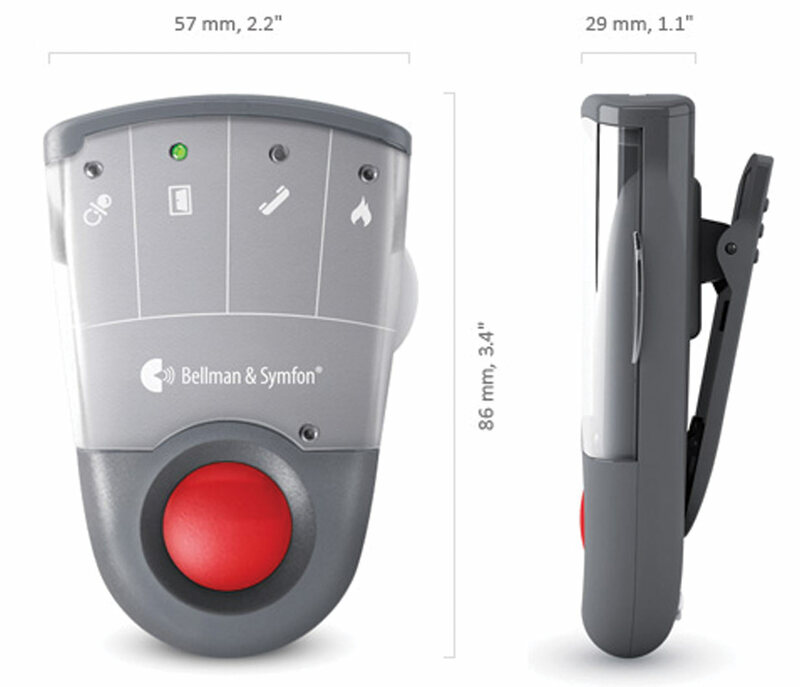 The Bellman Visit Pager receives signals from compatible Visit transmitters and alerts you by using a series of unique vibration and light signals for the various different alarms. The pager can be clipped to your pocket or belt. Range is 98ft. Great for the deaf and hearing impaired. Uses (1) AAA battery (not included). You may choose to use disposable or rechargeable batteries. See related items for disposable batteries, rechargeable batteries and battery charger. Low battery indicator. 2-year manufacturer warranty. Dimensions: 2.2x 3.4x 1.1. Weight is 2.5oz. Color: Black.